France has the ugliest greeting cards I've ever seen. Okay, that's just my opinion, but I've heard other ex-pats say the same thing. I'm a little surprised with all the beautiful art this country houses that no one seems to be able to design an attractive note card or birthday card. I've solved this dilemma by making my own cards. The photo above is a sampling of a few I've made using my photographs. I utilize an online company called Zazzle which allows you to upload digital images and add text. They print and ship to you. Easy-peasy. I know there are other companies that offer the same service. While Zazzle isn't perfect (you can't select a matte finish, for example; all cards are done glossy), it works for me, and I prefer it to making my own cards and printing them on my printer. I don't send a lot of cards. Seems like most 'greeting' these days is done via email and e-cards. But occasionally I like to send a real card. Last month, for instance, I mailed two sympathy cards. A more personal note seemed appropriate. Another benefit of my photo cards is I can use them as gifts. 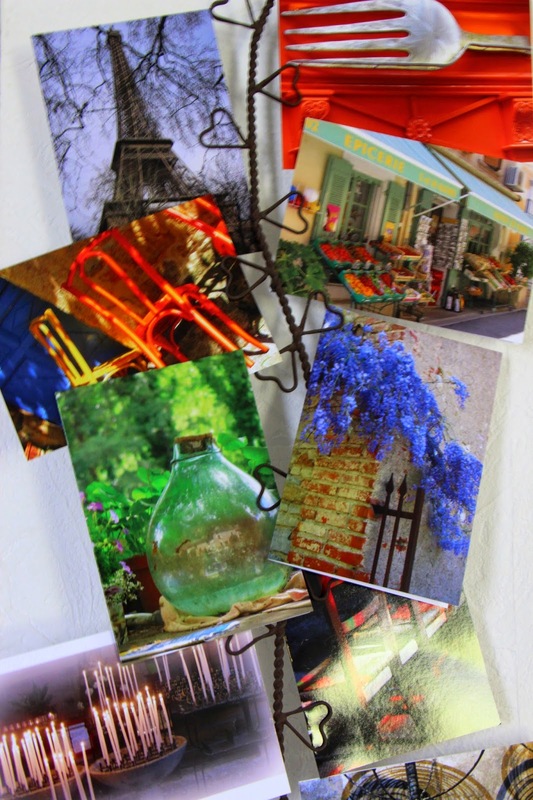 A packet of 4 or 6 in the note card size makes a nice gift that is easy to mail. And the best news is that the price per card, even with the shipping, is about the same as a store-bought one. It's a win-win! I agree about French greetings cards. They can be expensive, too. Thanks for the Zazzle link, which I will check out. I tend to stock up on cards in the UK because I can never find nice ones in France. I sometimes use Photobox to make my own. I hadn't heard of Zazzle so will have a look.